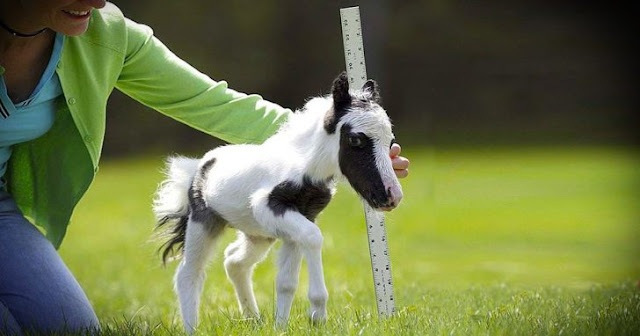 The World’s Smallest Horse, Einstein, Is Bundle Of Energy! Einstein, born April 20, 2010, holds the title a lot of other “my little pony” fans WISH they had: he’s the world’s smallest miniature horse! Weighing in at a mere 6 lbs, you’ll revel as the tiny tot prances happily in his pen. Owned by Rachel Wagner and Charles Cantrell, the pony lives in Washington and has quite the joie de vivre: check him out as he plays in the cute video below. He may have a tiny body, but he’s got a huge, huge spirit. Enjoy a sweet moment with Einstein below, and share if you think he’s as adorable as we do!